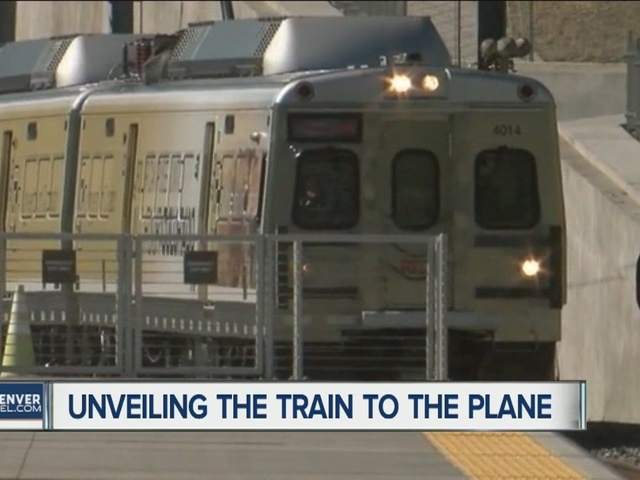 Train from Union Station to airport now running! 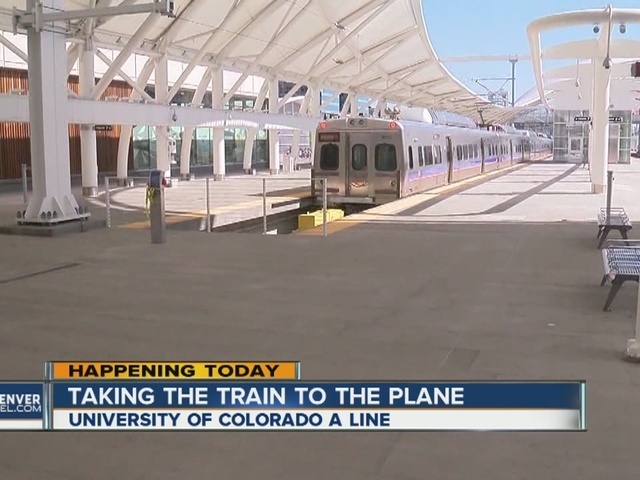 The train from Union Station to Denver International Airport began service Friday - and you can try it for free Friday and Saturday. 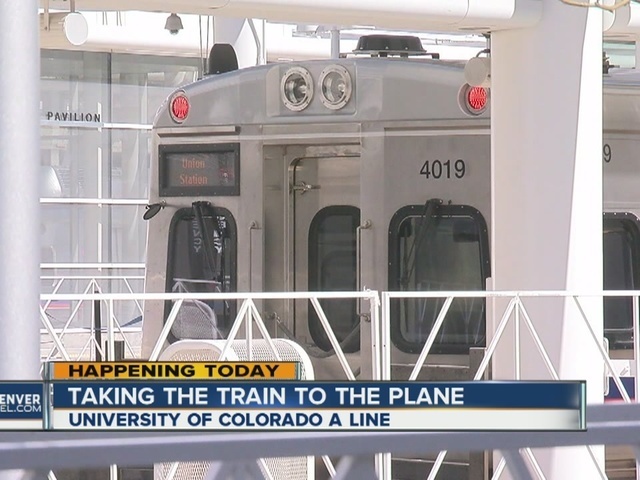 The first train on the A Line, officially named the University of Colorado A Line, left Union Station at 11:56 a.m. The commuter rail will take passengers from downtown to the airport in 37 minutes, with six stops along the way. The line is 23 miles long. The fare to the airport is $9. The trains will run every 15 minutes from 6 a.m. to 8 p.m., and every 30 minutes in the early morning and late at night, the trains will stop running for two hours every day from about 1 a.m. to 3 a.m. The six stations along the route will provide 4,329 additional parking spaces. Parking at most Park-n-Rides along the University of Colorado A Line will be free for the first 90 days. Two exceptions are the Central Park and 40th Avenue & Airport Blvd/Gateway Park-n-Rides where parking fees and enforcement currently exist. The Regional Transportation District (RTD) and its partners kicked off a weekend of the University of Colorado A Line celebrations with a series of ribbon cuttings and a grand opening ceremony at the Denver Airport Station at 10 a.m.
You can ride the A Line for free from noon to 9 p.m. Friday and on all RTD light rail and commuter lines from 5 a.m. to 10 p.m. Saturday - but expect big crowds! MORE | #TrainToThePlane selfie spot contest: Snap a photo along the new A Line and win prizes!